Black knobs for clamping and fastening in a variety of light- and heavy-duty applications. Constructed of high strength impact resistant techno polymer in a black matte finish. 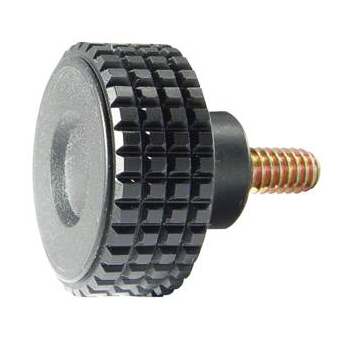 The knob has a blunted diamond knurl, which provides a comfortable and excellent gripping surface.